All international students coming to Cardiff have different experiences when they first arrive at Cardiff University. Everyone has their own expectations and have heard different things about life in the UK, which is one of the reasons why some students may settle in quicker than others. 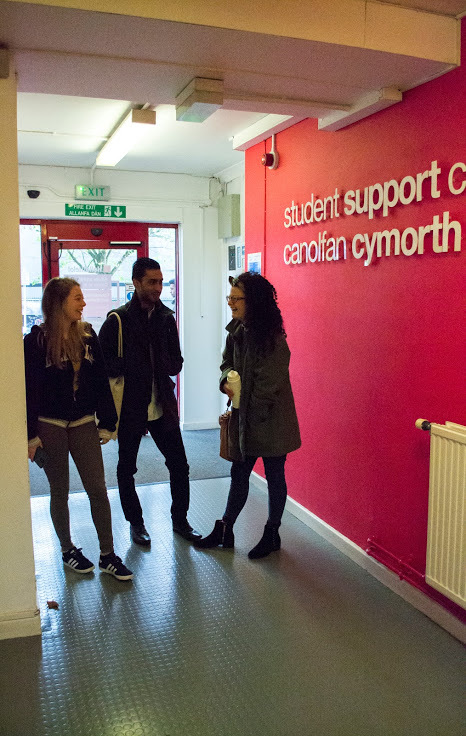 Adjusting to your new environment can take weeks or months, as it takes a while to explore all the different aspects of student life in Cardiff. Culture Shock occurs when an individual is immersed in a different culture and experiences a feeling of disorientation due to the unknown environment. Some of the potential consequences of culture shock are alienation, confusion, discomfort, anxiety or bewilderment. Most people eventually manage to go through it successfully by adapting to the new environment. Others might struggle to do so, which makes them even more frustrated and unable to accept the unknown setting. What can trigger culture shock? Climate: The weather in Cardiff can be unpredictable at times, which makes dressing accordingly quite a difficult task. Getting drenched is not something f you may be used to experiencing. You will eventually make the habit of carrying an umbrella, even if it’s sunny when you are going out in the morning! Food: Some people find British food quite greasy or heavy, but it is all a matter of preferences! The good news is there is a variety of international food shops and restaurants in Cardiff that can serve as an alternative. Plus, with time you can find your taste in food changing as you spend more time here. Language: Being out of the comfort of talking in your native language can be tiring and confusing when you have to switch from one language to another. Different accents can also be really frustrating to non-UK students, so remember that there is nothing wrong with asking somebody to repeat for you or talk a little bit slower. You could also find a society for your culture and language run by the Students’ Union, so that you can speak to others in your native language. Behaviour and values: What matters the most in your culture could be something that is not as appreciated here, which can sometimes be really overwhelming. It is hard to realise that something like family or religion that your culture values, is not as important in the UK, especially when you relate to your culture’s values to a higher extent. Try to think about other perspective as well – it can be perceived as rude or inappropriate by locals if you don’t say ‘Thank you’ or ‘Sorry’ whereas, for you that could be something of minor importance! Teaching and assessment: Perhaps the educational system of your country was slightly different and the way lectures are delivered is not something that you were familiar with before coming to Cardiff. Don’t be afraid to ask questions or discuss these things with your course mates. You can also always refer to your tutor or teaching office if you are unsure about something. There are also Academic Skills sessions available to Undergraduates. Changing the way you see your environment can be helpful when you are faced with culture shock. Being in a new environment can be extremely beneficial for you on a personal level. Adapting to new customs develops your creativity, problem-solving and interpersonal effectiveness. Challenging the negative thoughts that can arise because of culture shock is the first step to changing your perspective of the environment. Try to keep an open mind: You can encounter many different practices here, so try not to be critical of them, but rather try to accept and understand them. You will find that just being open to differences can help you with your mood and the way you respond to new challenges in university. Focus on what connects you others: If you only focus on what is different about the people and culture in Cardiff, you can find yourself trapped in negativity. Even people within the same country can have different customs but they still have a lot in common that they can relate to. Think about what you share with others here – it is really likely that most students around you are experiencing the same stress around coursework, housing or relationships as you are. Perhaps they listen to the same music or like doing the same sports as you do. There are always more things about a person than what their nationality defines them to be. Be prepared: Take advantage of the numerous resources online and read what other international students have found different. You can have a look at the blog content that current students are producing in their Insider’s blog to get an idea of the experiences that a student here may have. The Student Life CU Facebook page is also a great resource for current students as it promotes all the work that Student Support is doing. If you know about what is happening in university, you can get involved and feel part of something and not be isolated. . Awareness can be helpful by itself: Just by knowing that culture shock is a normal response to a new environment can be beneficial for your wellbeing. Acknowledging your behaviour and the changes in it, and accepting them as a normal reaction to university life can help you deal with negative thoughts. There a couple of things that you can do that can ease your transition and make you feel better about the place you are at. Bring familiar things around: Get some photos, ornaments or souvenirs that carry that ‘home feel’. Think about what makes you comfortable in your home place and try to replicate that in your new house. It can even be specific colours, scents or music that remind you of home. Cook something from home: You may discover that you can cook your favourite meal as well as it is done at home, which will not only be a delicious experience, but it will also give you a sense of familiarity and connection to your home country. Plus, food always gathers people together, so you can even treat your housemates and get to know them better! It is important that you keep a balance between staying in touch with family and friends from home and building new friendships. Your family can be a great support if you are finding it hard to settle in, but detaching yourself from your current environment will not help you adapt better. Reach out for new friends that you can spend time with – take advantage of the variety of cultures on campus and discover new things about different countries just by talking to other students! The Students’ Union website is always a great place to find opportunities to meet with other people. Why not get involved in one of the numerous events in Global Week? 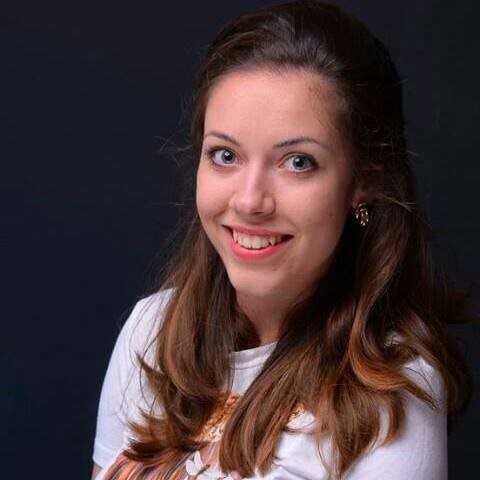 Find out more about what is going on in Sophie’s blog on Global Week events. If you ever find yourself stuck with anything related to your university experience as an international student you can always come along to International Student Support who can advise you or signpost you to the relevant service.